Cries for me. Knows me. Recedes quicker than I’d like. 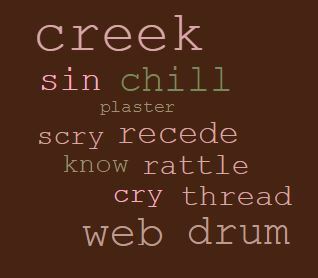 This entry was posted in death, evil, poetry, sin, spirituality, the sunday whirl, Wordle and tagged death, God, nature, poetry, sin, spirituality by The Writer's Village. Bookmark the permalink.